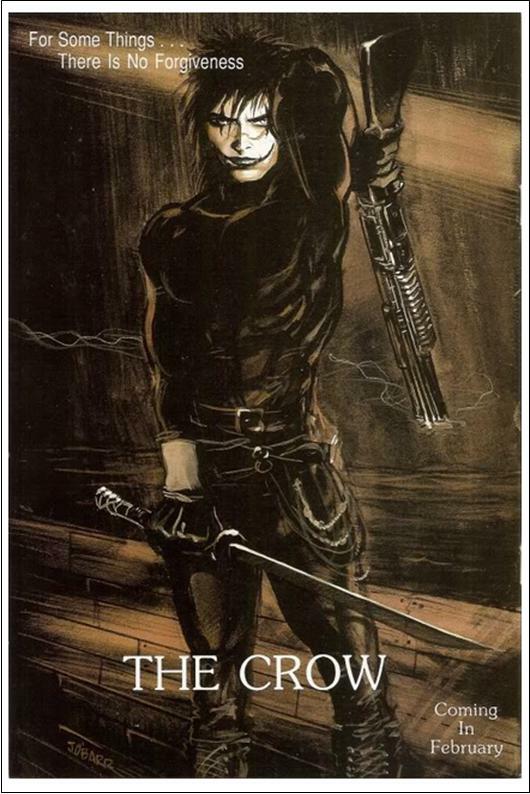 Comic book review – The Crow; Curare. Created by James O’Barr, in 1989, the original series was a way for him to express how he felt after his, then girlfriend, was killed by a drunk driver. It tells the story of Eric a young man whose attacked and forced to watch as the love of his life is savaged, raped and killed all before he too is killed. Sometime after these events he is resurrected by the crow and seeks vengeance on the murderers, stalking and brutally killing them. When, not on the hunt, Eric stays in the house he once shared with Shelly, spending most of his time there lost in memories of her. Without her he is a constant state of pain finding relief through acts of self-mutilation. In the series Eric is guided by the Crow who pushes him in the directions he needs to go but also shows displeasure in his state of depression, as it distracts him from his purpose. 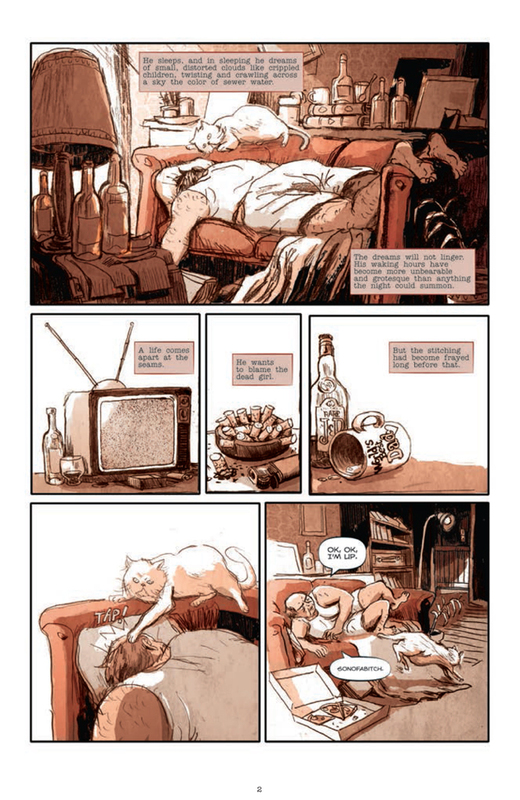 This was a beautifully drawn graphic novel and though the story is raw and very dark it has a twisted wonder to it that draws the reader in. It’s no wonder why back in 1994 this was turned into an infamous motion picture that tragically led to the death of Brandon Lee. Since its release some see the film as a success others as a cult film, either way it’s a film that has stood the test of time and is still loved by many. 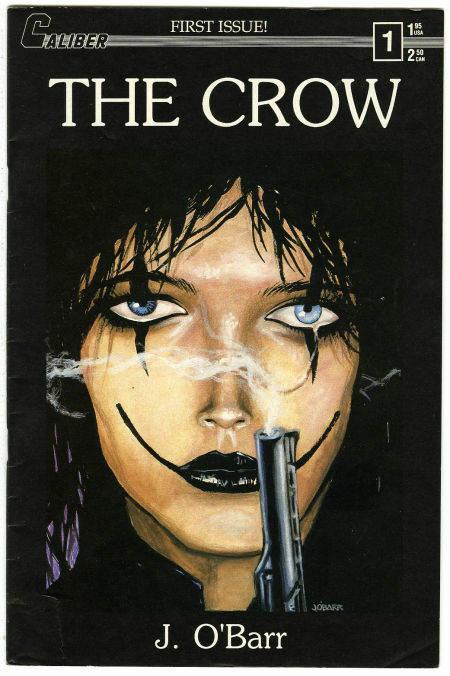 Since then the Crow has been seen in many formats, some brilliant comics, a short lived TV Series and films that could never hold up to the original. 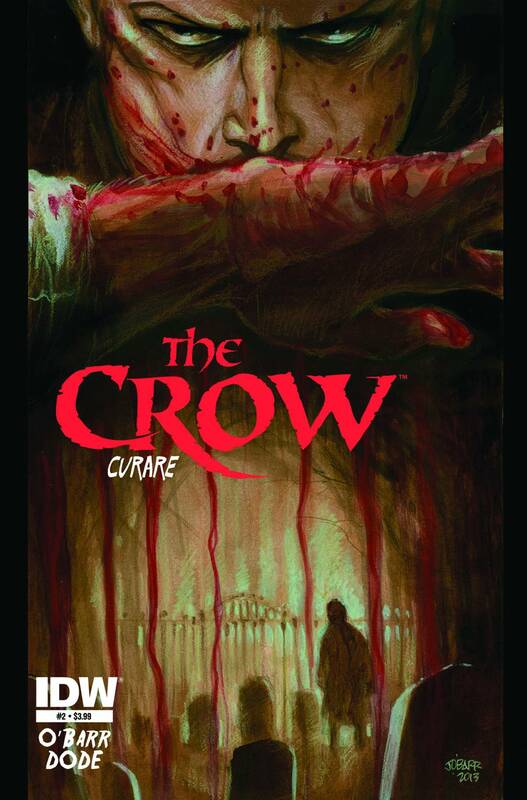 That’s your crash course on all things Crow related, the latest installment, The Crow Curare, was created by Jim O’Barr and follows the path of retired police officer Joe Salk. Salk, at one point, had been a prominent and successful investigator but after receiving the case for an unidentified Jane Doe, who just happened to be a little girl that was raped and murdered, he broke. He became obsessed with the case and eventually lost his job, his family, his sense of respect even his ability to be sober. This broken man is now being used as an instrument of revenge so that a little girl can rest in peace. So you know it’s a plot about revenge and its pretty dark so if that’s not your cup of tea maybe this one is not for you. Reading a comic it isn’t always plot. The art work can be a huge factor and this particular series does not disappoint. 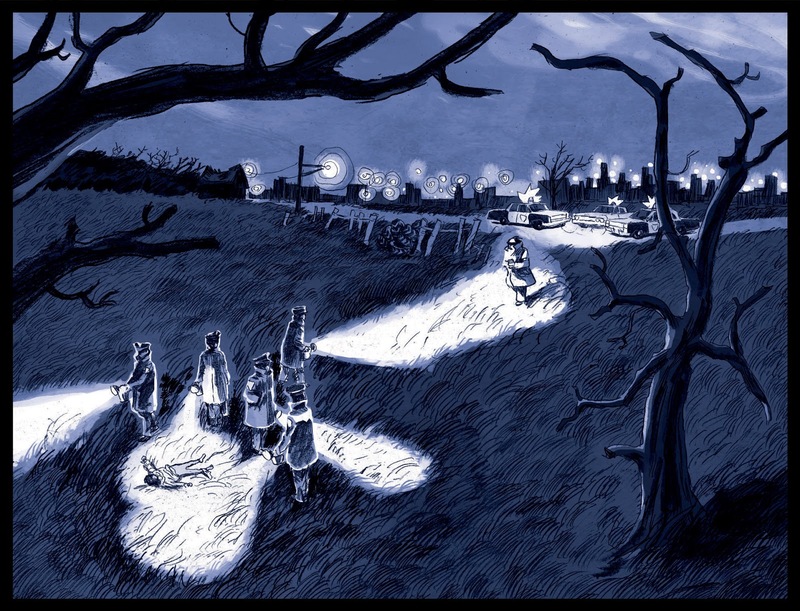 Drawn and coloured in a very unique style the beauty of the art really adds to the darkness of this story. I really advise you checking this out, it’s a brilliant continuation to the franchise.